will be held in Prague, Czech Republic. The Conference will start by the Registration on Sunday, July 26, 2009 at 17:00 -- 19:00 and will finish on Saturday, August 1, 2009 at about 13:00. The Registration will take place in the building of the Faculty of Mathematics and Physics , V Holesovickach 2, Prague 8, where also all the Sessions will be held (indicated by a red circle on the map). to help young researchers and students to take active part in the respective international research programmes. The Conference will consist of Plenary, Panel discussion and Poster sessions. The theoretical and experimental aspects of the large high priority spin physics experiments, which are going on or are under the preparation at existing accelerators at JINR, CERN, IHEP, DESY, COSY, PSI, BNL, JLAB(CEBAF), GANIL, GSI, RIKEN, RCNP, JParc, JYFL etc. and/or astrophysics projects will be discussed. It is expected that many young physicists will attend the Conference. The number of participants will be limited to about 100. After registration the Programme Committee may contact a proposed speaker and request in addition to the title a short abstract to clarify (if necessary) the content of the proposed talk. In case of insufficient time for presentations the Programme Committee reserves a possibility to propose to some speakers to give their talks as poster presentations. In the auditoriums there are PC with the streamer which allow to give a power point presentations stored on a CD or a memory stick, as well as an overhead projector. The Proceedings of the ASI will be published in The European Physical Journal Special Topics (EJP ST) Series. The EPJ ST style files can be found on http://www.eurphysj.org/makro.html. The instructions for the preparation of the manuscript and allocated number of pages will be given to the speakers. The Registration Fee for participants is 180 EUR. The Fee covers all sessions, conference materials and proceedings (for participants), welcome party, conference banquet, coffee breaks and excursion. The Registration Fee for accompanying persons is 60 EUR, which covers welcome party, conference banquet and excursion. Payment will be made during the Registration on site. The payment can be made in cash or by Credit Cards (Credit Card type: EC/MC, Visa, AMEX, maestro). When Credit Card payment is used the Bank commissions or the fees are the responsibility of the Registrant. The EUR or USD equivalent are acceptable. Countries with Visa Waiver Regime: Nationals of countries which do not require a visa for tourism to the Czech Republic, not applicable for employment and study purposes. To arrange visa support, if needed, participants are kindly requested to inform the Organizing Committee of their personal data (see the Registration Form for on-line registration). An official letter of invitation, without financial commitments, to help to overcome administrative or visa formalities, will be provided by the Conference organizers on the request. "Advanced Studies Institute - Symmetries and Spin", Prague, July 27 - August 3, 2005 http://theor.jinr.ru/~praha/2005/. "Advanced Studies Institute - Symmetries and Spin", Prague, July 5-10, 2004 http://theor.jinr.ru/~praha/2004/. "Advanced Studies Institute - Physics at LHC", Prague, July 6-12, 2003 http://cern.ch/asipraha/2003/LHC or http://theor.jinr.ru/~praha/2003/LHC/. "Advanced Studies Institute - Symmetries and Spin", Prague, July 12-19, 2003 http://cern.ch/asipraha/2003/SPIN or http://theor.jinr.ru/~praha/2003/SPIN/. 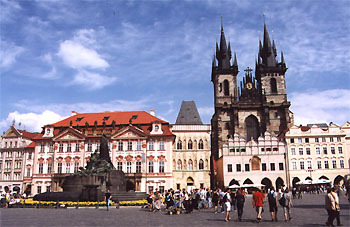 "Advanced Study Institute on Symmetries and Spin", Prague, July 14-27, 2002 http://cern.ch/mfinger/praha2002 or http://theor.jinr.ru/~praha/2002/. "Advanced Study Institute on Symmetries and Spin", Prague, July 15-28, 2001 http://cern.ch/mfinger/praha2001 or http://theor.jinr.ru/~praha/2001/. "Advanced Study Institute on Symmetries and Spin", Prague, July 17-22, 2000 http://theor.jinr.ru/~praha/2000/.